Situated in the business district, this hotel is 1.1 mi (1.7 km) from Sunway College Johor Bahru and 1.5 mi (2.4 km) from Austin Heights Water & Adventure Park. Hospital Sultan Ismail and Austin Hills Country Club are also within 3 mi (5 km). Along with a restaurant, this hotel has concierge services and dry cleaning. WiFi in public areas is free. Additionally, laundry facilities, multilingual staff, and wedding services are onsite. All 20 rooms provide conveniences like refrigerators and coffee makers, plus free WiFi and flat-screen TVs with satellite channels. Guests will also find free minibar items, premium bedding, and rainfall showerheads. The hotel offers a restaurant. Wireless Internet access is complimentary. 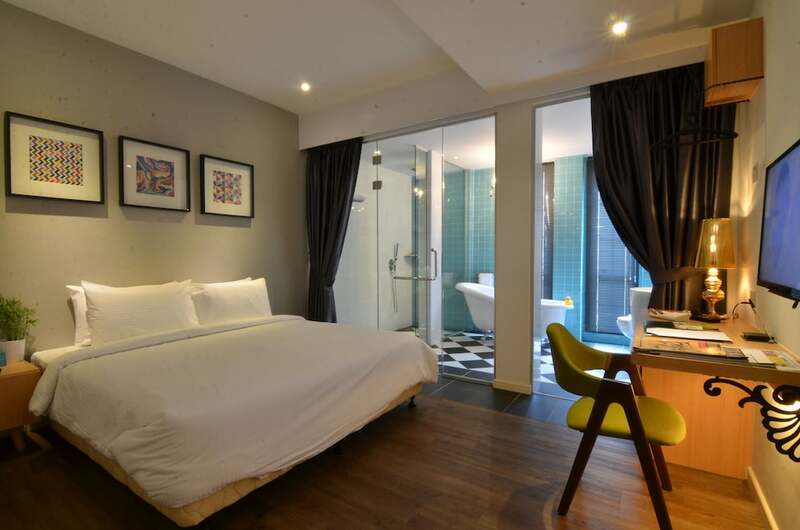 This Johor Bahru hotel also offers multilingual staff, a garden, and concierge services. The Stag - This restaurant specializes in French cuisine and serves breakfast, brunch, lunch, and dinner. Open daily.